Have you seen these yet? 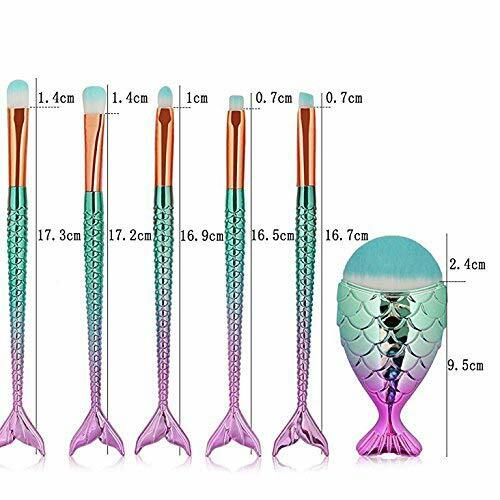 Mermaid makeup brushes are A THING, and I’m totally ok with it. What better way to put on our Mermaid makeup eh? 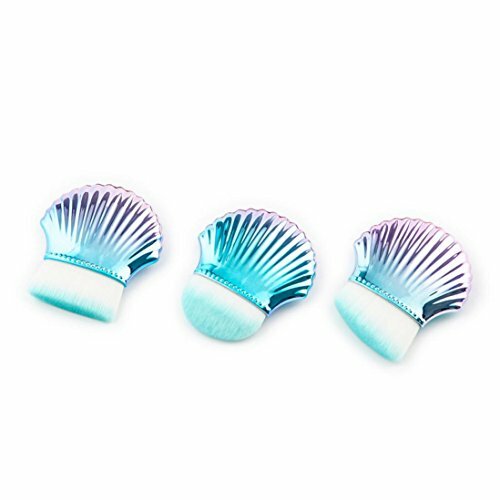 These work great for Mermaid gifts OR if you need an excuse to up your Mermaid decor. Before we start, let’s chat about makeup brushes. What are all these suppose to do? This video will give you some insights if you have brushes you don’t know what to do with. The brush handles are made from plastic to get the colors and texture. The actual brush is made from synthetic nylon hair which helps with the cost. Enjoy! 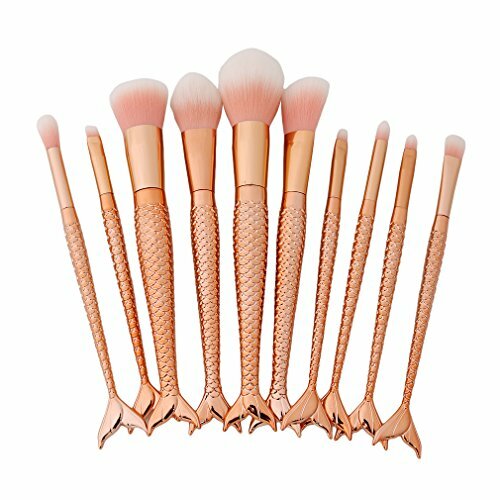 This 10 set piece has all the makeup brushes needed with standard tail shape. 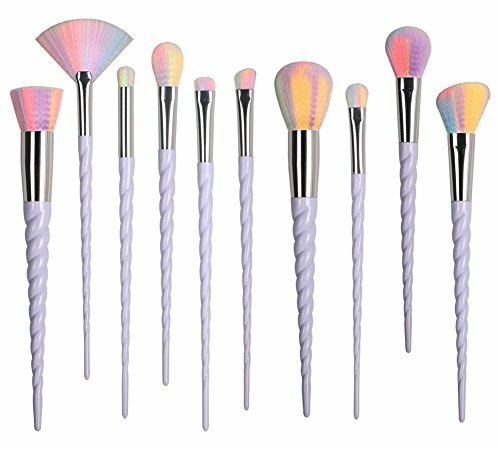 With a similar shape, this set has a rainbow affect with pink tips! Let’s get fancy with these flukes! For those that like the simple things in life you can get a simplified version of the handle and still have the fun colors and scales. This has a fun look with black to silver tail. Great if you have a black themed bathroom. This is a different take on the rainbow style. Rather than the brush handle fading colors, you have the actual hairs on the brush. 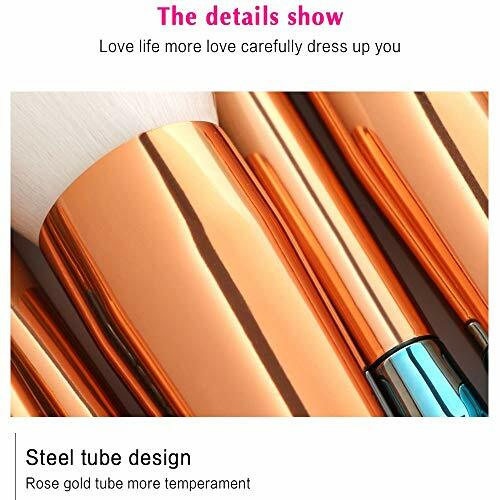 If you have been reading my blog at all, you know my passion for gold. I like this style, and will match with almost anything. These are for foundation and contouring on the forehead, and cheekbones. They can also help with concealer for eye shadow, sculpting eyebrows and blush! The main difference with these short brushes are the densely packed and ultra fin fibrous hairs which provides a flawless and streak-free cover for your face. 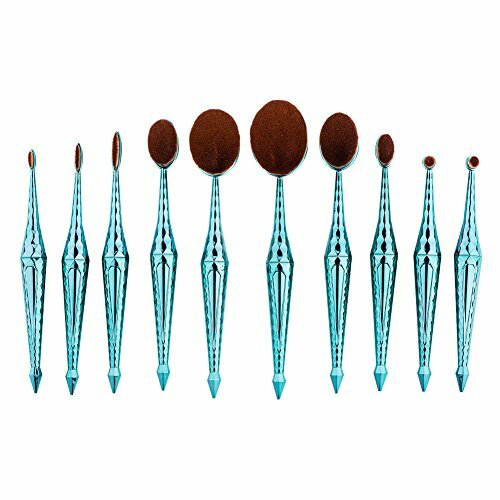 These cute lil’ guys come in a variety of colors if you like using the shorter thicker brushes. If you need a more angular brush they have those too! To cute not to share. 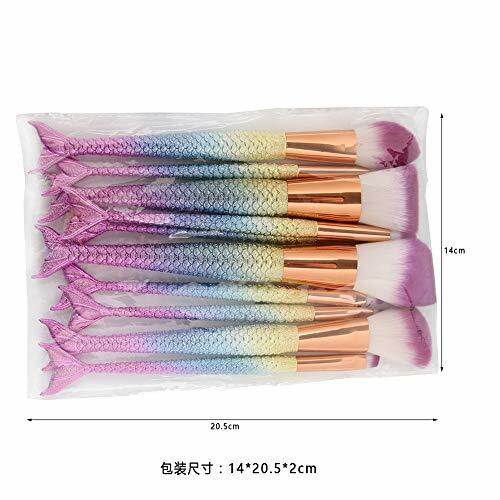 Mermaids need these in their makeup “collect complete”. 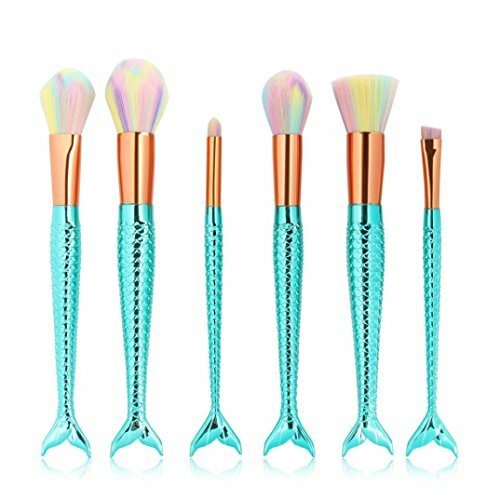 These are designed like a tooth brush and some mermaids like to have this rather than the standard brush. They don’t have the flukes but the mermaid scale design on the handle. Need something mythical to add? These are a fun alternative. Shout out to my unicorn friends out there. Any Beauty and the Beast fans out there? My friend at Beauty101 blog has a straight forward chart for those mermaids (like me) that need a quick guide for what all these are used for. 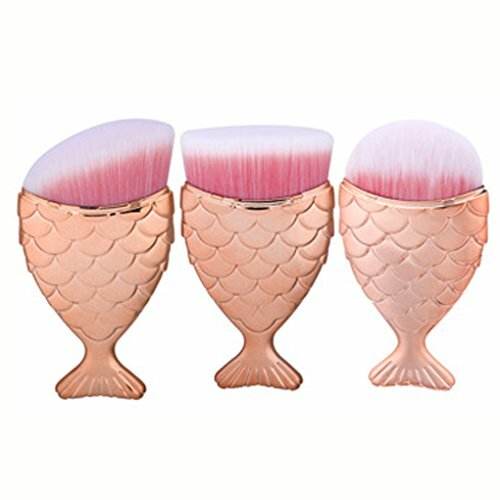 With their powers combined we get some amazing/fun/fabulous mermaid makeup brushes. What will they come out with next? Thanks for stopping by! 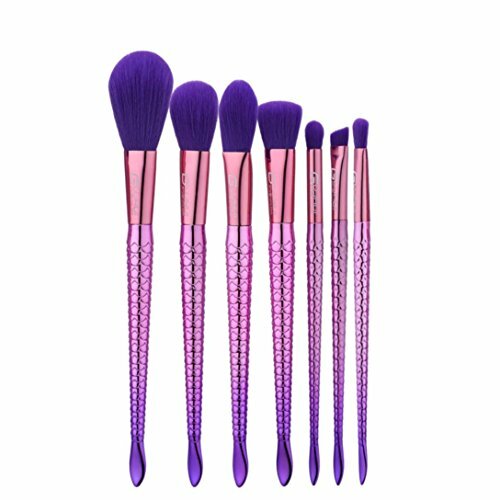 Let me know if there are any other makeup brushes or recommendations that my other readers should know about.